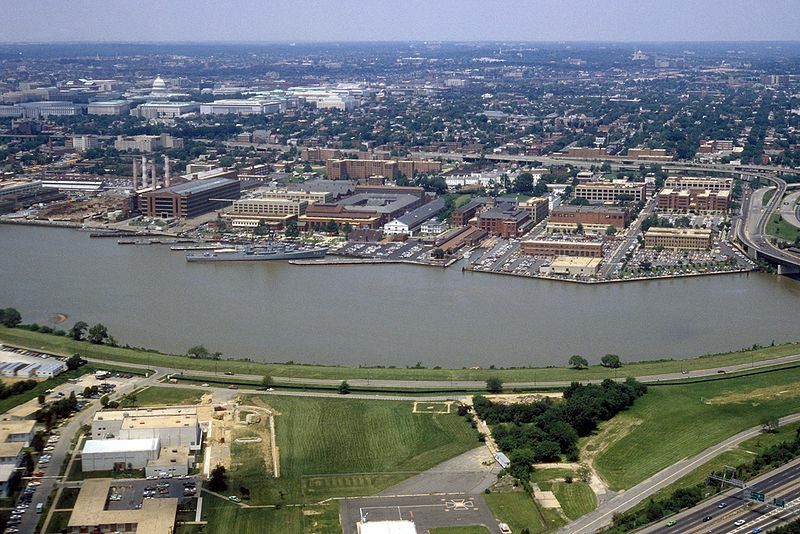 The Washington Navy Yard (Photo by the U.S. Navy). Even as SWAT teams, snipers and armed Metropolitan Police officers were swarming the Washington Navy Yard in Washington, D.C., news of the #NavyYardShooting was trending worldwide on Twitter. At least one gunman, but perhaps two more, killed multiple people and injured several others on Monday morning at or near the Naval Sea Systems Command Headquarters building, according to authorities. And in the 21st century, American citizens sitting on their couches watching CNN were able to know more information about the shooting than a police officer setting up a perimeter only a block away from the crime scene, who may have only been told generalities of the situation when he was dispatched. It became national news about half an hour after the initial attacks and even before the Metropolitan Police’s Mobile Command unit reached the Navy shipyard area, which is in Southeast D.C. It is astounding that, just an hour or two after the shooting, the Navy Yard’s Wikipedia page had already been updated to include the shooting incident! The Washington Post, as of around 2 p.m. ET, set up a live stream of updates and allowed full free access to WashingtonPost.com, which is what the Boston Globe newspaper did for the week of the Boston Bombings. In 2013, information spreads like wildfire. Anyone can get any information from anywhere. This is a slight exaggeration, of course, but the point is that media has infused into our culture so heavily that few people realize how much they take in media information. This is all because a team of journalists, photojournalists and news organizations have crisis plans years in the making to prepare to broadcast breaking information for situations of the like of, say, the Boston Bombings. In Southern California, one of the top TV news markets in the country, stocked-up news vans from CBS, ABC and NBC are situated so that they can get to a major incident in the Los Angeles area within, literally, minutes. But the media is not just news organizations; it is anything that is posted on Facebook and Twitter as well. Your Uncle Jimmy may not work for Fox News, but when he posts an update about what he’s seeing if he, say, was at the scene of the crime scene may be considered news. Media, it must be reminded, has a Latin etymology that means, “intermediate agency, channel of communication,” according to the Online Etymology Dictionary. This means media includes things from your Facebook and Twitter friends. Media just refers to the means of how someone told you, or wrote to you, something. Think about what would have happened if there was exactly NO media covering today’s shipyard shooting; that is, if there were no CNN, Washington Post, Facebook and Twitter. The point is, media in the 21st century almost spoils us with how much information we are able to get so quickly. Fifty years ago, an event of this magnitude may have made the evening news, or, if not, the next morning’s paper. Today, #NavyYardShooting gets a worldwide trending spot within the hour. Note: As this was written, little more than three hours after news of the shooting spread, full news of the attack was not available.